Going to the bank can be kind of a chore. Unless, of course, you’re 7 years old and you go on Saturday morning with your dad in the hopes of scoring some of that free bank candy. (Playing with a pen on a chain was always a little bonus, too.) But the bank just got a little more thrilling. Or at least, our bank did. That’s because when you visit Umpqua Bank in Portland, you might just get a little taste of Plywerk. Step into the Hawthorne Branch of Umpqua Bank and step out with some Plywerk! But it really is a good deal for everyone. The bank gets to display our lovely and attractive merchandise. We get to expand our customer base to include ‘people who go to banks.’ And the public gets to enjoy a little art-gazing during their boring weekend errands. That means that if you find yourself at the Hawthorne or Progress Ridge locations, you might walk out with your normal sack of cash AND some Plywerk. So make sure you keep your eyes open next time you’re waiting in line at Umpqua. We know it’s easy to get distracted by all the lollipops and pens, but try and remember to look for Plywerk and other fine local merchants. This entry was posted in Photography and tagged Local Spotlight, Portland Local Businesses, Umpqua Bank Portland on March 31, 2014 by admin. Plywerk is a lean manufacturer. What is lean manufacturing, you ask? I’m so glad you asked. Because I was planning on telling you all about it today. We, here at Plywerk, are highly conscious of our waste and of our resources. In the simplest terms, lean manufacturing is all about reducing waste. Well that sounds good already, doesn’t it? When we say that we’re a lean manufacturer, it really means that we are highly conscious of our waste and of our resources. We’re always thinking about our customers because, ultimately, our customers are the ones who will be paying for our products. Essentially, we’re thinking about you! Doesn’t that make you feel good? The philosophy of lean manufacturing has its roots in the Toyota Production System. TPS is known for its focus on reduction of waste in order to improve overall customer value. And we can't talk about lean production without mentioning Taiichi Ohno, the father of the Toyota Production System (TPS). We use Lean Manufacturing to make our handmade panels. Ohno developed TPS after World War II and continued to develop it throughout the 1970’s. Thanks to Ohno, Toyota was able to compete with the big American auto companies. In fact, some would argue that it’s how Toyota was able to transform a relatively small operation into the largest auto manufacturer in the world. At Plywerk, we do our best to avoid and eliminate waste. Our goal is simply to add value to the product. For example, when we sand a bamboo panel, we know that we’re adding value to the finished product. On the other hand, when we transport a Plywerk panel, the product itself becomes no more valuable, but it does increase the cost. It’s really a business lifestyle. As a lean manufacturer, we’re always looking for ways to improve. One of the key concepts in lean thinking is “Kaizen.” That’s the Japanese term for “continuous improvement.” Our goal is to never stop improving. Period. Buy a product from Plywerk and know that you’re getting what you paid for. This entry was posted in More Than Just Green, Photo Panels, Plywerk In Action and tagged lean manufacturing, lean producer on March 28, 2014 by admin. As we say goodbye to the cloudy days of winter and hello to the partly cloudy days of spring, Portlanders are getting a little stir crazy. All this temperate weather means we want to eat our food and drink our drinks in the great outdoors! So let’s take a look at the 10 best patios in Portland! Produce Row has a super cozy patio and they also show outdoor movies on Wednesdays! Produce Row Cafe - Check out this upscale pub with a huge patio, enclosed by cedar walls. It’s almost like hanging out in a giant planter box. Plus, they even show movies on a roll-down screen on Wednesdays! The Pied Cow Coffeehouse - This is almost more yard than patio, but whatever you call it, it’s a great place to enjoy a sunny day in Portland. They offer an eclectic menu and even hookahs if you please. sunshine and watch the people go by on busy Mississippi Ave.
StormBreaker Brewing - You might remember it as Amnesia, but it’s still a nice place for some fresh air and a fresh beer. Bar Bar - It’s got a fire pit. It’s heated in the winter. It’s even dog-friendly. What more do you want from a patio? Bar Bar has it all! Yakuza Lounge - Just a lovely spot to sip some sake. This Japanese garden is a peaceful place to sample sushi and appreciate the landscape. Radio Room - Here’s an excellent choice for your outdoor dining needs. It has a lower patio AND a rooftop patio. It’s like the bunk bed of patios! Departure has million dollar views in downtown Portland. Departure - Do you feel like being fancy? Check out this swank rooftop patio for good food and a fantastic view of the city at 15 stories. Veritable Quandary - Have a seat in this scenic garden patio overlooking the Hawthorne Bridge right there on the riverfront. Prost - Do you like gardening? Do you prefer beer gardening? Go to Prost for a huge patio and some schnitzel. Rose and Thistle - You might not know it from the inside, but this place has a huge patio out back and it’s the perfect spot to get some day drinking done. Enjoy the weather, Portlanders! And don’t forget to take some pictures as you stroll through our fair cities gardens. Make yourself a springtime Print on Plywerk! This entry was posted in Portland Travel Guide and tagged portland, Portland bars, portland dining, Portland Local Businesses on March 27, 2014 by admin. If you’ve had a wedding, you probably have a box full of wedding stuff that you just don’t know what to do with. You’ve probably given some thought to preserving your wedding memories. And there are plenty of projects and craft ideas out there. But there are only so many hours in a day! It’s okay. It’s not your fault. Go ahead and blame Pinterest for all this pressure. You don’t have time for all this cuteness! But Plywerk can help. It doesn’t have to be complicated. And if you’re looking for some cool ways to preserve wedding invitations, we’ve got you covered. Preserve your wedding invitation on a Plywerk. As you well know, wedding invitations are probably the most valuable thing the postal service touches. Right after birthday cards with checks from your Grandma. A wedding invitation is the king of cards. You spent a lot of time (and money) ensuring that your wedding invitation would reflect you. After all, they told you that the invite is the first glimpse into your “wedding style.” It’s a way to show off your wedding color scheme. Your invitations were like a window to your wedding soul. Or something. But wedding speak aside, invitations really are a nice memento of a special day. It seems like you should do something with it, right? Right! Turn it into a Print on Plywerk! It’s so simple. You probably feel foolish for not thinking of it sooner! It’s okay. You’re no fool. But just on the outside chance that you are, you should trust us to do this job for you. There are a couple ways you can go about preserving your wedding invitation. If you want, you can mail one of your invitations directly to us and we can mount it on a lovely piece of eco-friendly wood. Or, if you’d rather not involve the post office anymore, you can just scan your invite and we’ll print and mount it for you. One way or another we’ll get that invite mounted and ready to hang. And now you can get started on your wedding bouquet terrarium project. This entry was posted in Photo Mounting, Uncategorized and tagged art mounted on bamboo, eco-friendly, green design, wedding crafts, wedding photos on March 26, 2014 by admin. Plywerkers love all sorts of things. We love sunny days and ripe strawberries. We love roly-poly puppies. But when’s the last time a piece of fruit or an adorable animal provided us with high quality printing services? Never. (Then again, there’s a first time for everything.) The point is that Plywerkers also love Pushdot Studio. And they do provide us with superb printing services. That’s why we trust them with the ink-jet prints for our Plywerk Pros. When it comes to Portland photo printing, we turn to Pushdot for the important task of producing our Matte and Fine Art Pearl prints. Visit Pushdot Studio here in Portland, Oregon for gorgeous ink jet prints that will delight you. Image by Pushdot Studio. In addition to working with Plywerk, Pushdot Studio caters to the community of discriminating artists and photographers in Portland, Oregon. They provide high-end printing, photographic retouching, and high resolution scanning. Pushdot uses sophisticated techniques, quality materials, and state of the art equipment. But it’s not just their equipment and materials that sets them apart from the rest. The people who work at Pushdot Studio are able to provide the service and quality expected by professional artists because they, too, are artists. The owner has years of experience on both the technical and creative sides of the photo imaging business. The printing professionals at Pushdot Studio aren’t just expert technicians, but also artists and photographers who approach each and every order from a client perspective. They know what you want because they probably want it too. At Pushdot, they enjoy what they do and they take pleasure in each project’s unique challenges. We love to work with other great businesses here in Portland. We take pride in the products we make, so it makes us happy when others do too. When we mount a photograph or a print, we want to make sure that it looks as good as it possibly can. And when we work with a business like Pushdot Studio, we know that it will. Order a print from Plywerk and you won’t be disappointed. This entry was posted in Beyond Plywerk, Photo Mounting and tagged photo mounting, photography, Portland Local Businesses, prints on wood on March 24, 2014 by admin. There are tons of places to find art in Portland. Sometimes you have to run inside and shut the blinds and hide under a blanket just to get away from all the art. But we don’t do that very often. We like art. We make art. 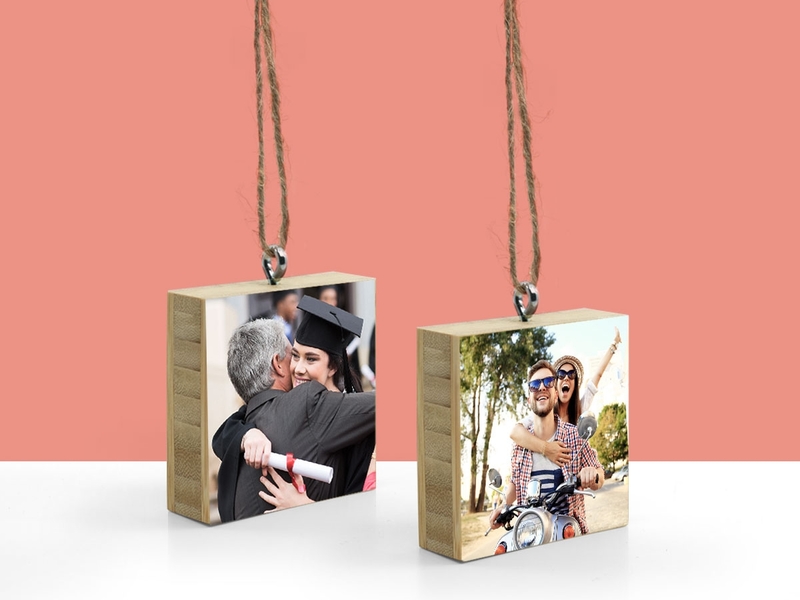 At Plywerk, you can upload your photos and we’ll turn it into some hangable art. And if you want to see other people’s art, we’ve got galleries galore. Here are some of the best art galleries in Portland. Ampersand Gallery and Fine Books is one of our favorite galleries in Portland! Ampersand Gallery and Fine Books presents monthly exhibitions of contemporary artwork alongside a curated selection of found photography, printed ephemera, and other works on paper by unknown and outsider artists. Ampersand is committed to the cause of cultural preservation. Their collection of books includes new and rare titles, with an emphasis on art, design and photography. Go there and be inspired. Gallery 903 is Portland’s museum of galleries. They showcase a nice variety of contemporary painting, sculpture, and photography by established and emerging artists. It’s a fine place to stroll about and pick out pieces for your soon-to-be-acquired castle. Cannibals is the definition of a funky gallery. At Cannibals everything in the store is made by local Portland artists that live "less than a gas tank away." Also, all the art is made from recycled and reclaimed materials, and all of the pieces on display are shown within a year of their creation. It doesn’t get much funkier than that. Blue Sky Gallery is a nonprofit and largely volunteer-run gallery. In addition to presenting up to 30 exhibitions annually, Blue Sky also provides an array of wonderful services to the community. Blue Sky maintains a public research library and hosts regular artist talks and programs, which are free to the public. Bullseye Gallery works with a select group of international artists in the field of kilnformed glass with the aim of furthering exceptional design through innovation in material and method. The gallery is part of Bullseye Glass Company, a manufacturer of colored glass for art and architecture. Many Portlanders would like to go on a shopping spree here upon winning a lottery or receiving a surprise inheritance from a distant but wealthy relative. This entry was posted in Beyond Plywerk, Portland Travel Guide and tagged art galleries, photography, Portland Local Businesses on March 20, 2014 by admin. Something has been brewing over here at the Plywerk headquarters, and for once we’re not talking about coffee. Well, actually, there has been a lot of coffee brewing here at Plywerk, but it’s not just the coffee. Partially fueled by caffeine, we’re pleased to announce the launch of the Plywerk Art Store. If you’re looking for original art, and you need it fast, consider Plywerk your one-stop print shop. And if you’re in need of photography for home decor, you’ve come to the right place. David Clifford’s gorgeous outdoor photography is some of the first in our Art Store! The Plywerk Art Store has been in the works for some time now. And we think it will serve you well. Because the next time you’re scrambling for a thoughtful gift that is certain to knock someone’s socks off, we’ve got you covered. Consider those socks knocked. And if you’re just looking to fill some empty walls in your own home, the art store is your friend. The Plywerk Art Store is here to help you find incredible artwork from some of the finest artists and photographers we know. We’re happy to provide this service and we’re doubly happy to be associated with such fine people. 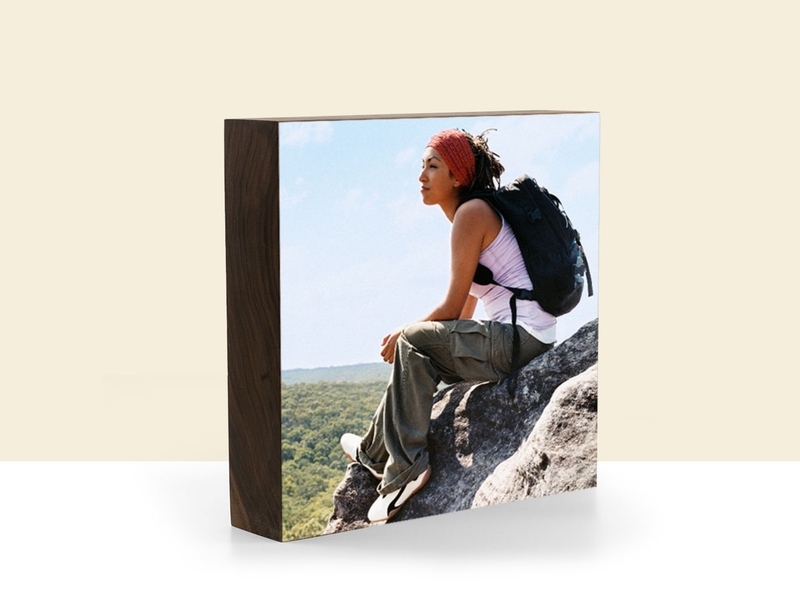 We’re honored to put these wonderful photos on our hand-crafted eco-friendly wood panels. Plywerk Co-Founder Kim Nguyen's charming photos are also available in our Art Store! 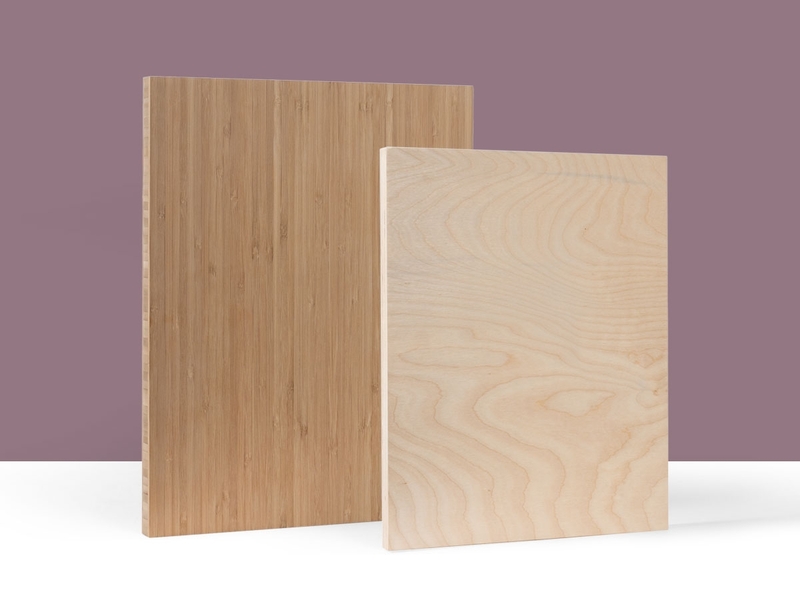 Artists love Plywerk panels because they’re clean and simple. 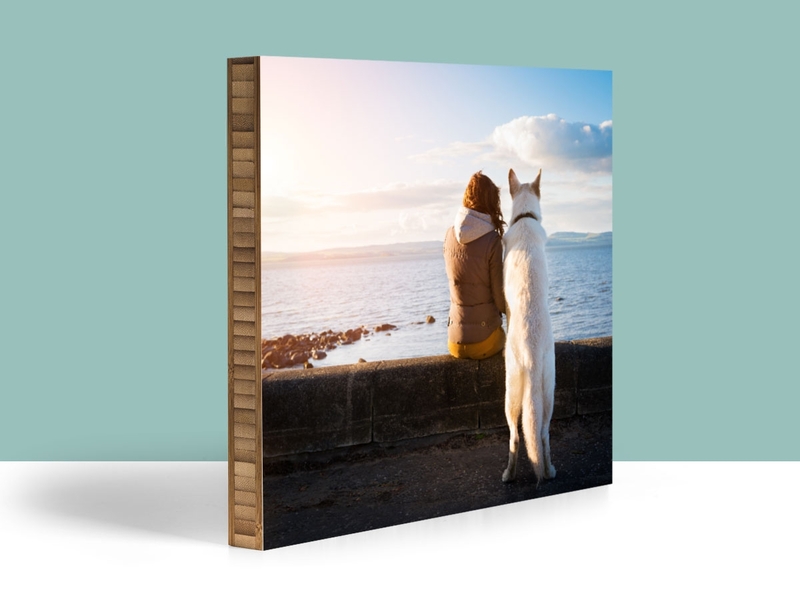 Plywerk is the perfect way to showcase a beautiful photo without distracting from it. Our bamboo panels are modern and natural. They’re also eco-friendly, if you’re into that sort of thing. One of the first artists you’ll see at the Art Store is Commercial and Editorial Photographer David Clifford. David is a former photo editor of Rock and Ice and Trail Runner Magazines and his work has been featured in a variety of amazing publications including National Geographic and Outside magazine. Need some art? Know someone who needs some art? Check out the Plywek Art Store. This entry was posted in Photo Panels, Photography and tagged David Clifford Photography, home decor, modern home decor, photography, prints on wood on March 20, 2014 by admin. There’s more to Plywerk than meets the eye. So get ready to have your world turned upside down. Prepare to have your mind blown. Hold on to your brain. Give us a moment while we scramble the world as you know it. Because, in addition to being masters of photo printing and mounting, we are also known to dabble in custom award plaques, from time to time. Of course you already know that we provide exquisite services for photographers and artists. You KNOW that we specialize in high-quality photo mounting and we’re always going on about putting your art on gorgeous eco-friendly bamboo. created these awards on our 1/2" maple panels. We’re known ‘round the globe for producing modern home decor with simple wood panels. Isn’t that enough? Well, sure. We could just call it a day. But we didn’t! And we won’t! Because there’s more that we can do. Plywerk is more than the perfect canvas for photographs and artwork. It’s also a new and modern way to honor employees at your company. If you’re looking for a unique way to present company awards and accolades, Plywerk can help. We love awarding! And we’re always happy to be a part of a good accolade! A Print on Plywerk is a great alternative to a trophy or other dated looking awards. We can create a totally unique and modern wood-mounted award for your business or softball team or board gaming association. And it will be very suitable for hanging. Hang it in your office. Hang it at your home. Hang it where you’ll see it a lot because it’s going to look awesome. So consider giving your employees an award that they’re proud of and proud to hang. Plywerk your next award. You’ll feel like a winner too when you present your next Employee of the Month with a piece of Plywerk. This entry was posted in Eco-Conscious and tagged awards, corporate awards, employee awards on March 19, 2014 by admin. If you’re looking for an indoor adventure, try rearranging all your bedroom furniture. Every time you wake up in the middle of the night you’ll feel lost and exhilarated. And if you’re looking for some outdoor adventure, let us introduce you to our friends at Outdoor Project. Tyson Gillard founded Outdoor Project with one simple goal: To help people enjoy the outdoors. It’s not that we think you need help enjoying the outdoors. But sometimes you do need help figuring out what to enjoy and where you can enjoy it. Memaloose Falls is a great spot for an outdoor adventure. So take a hike! (In the good way.) And bring your camera! 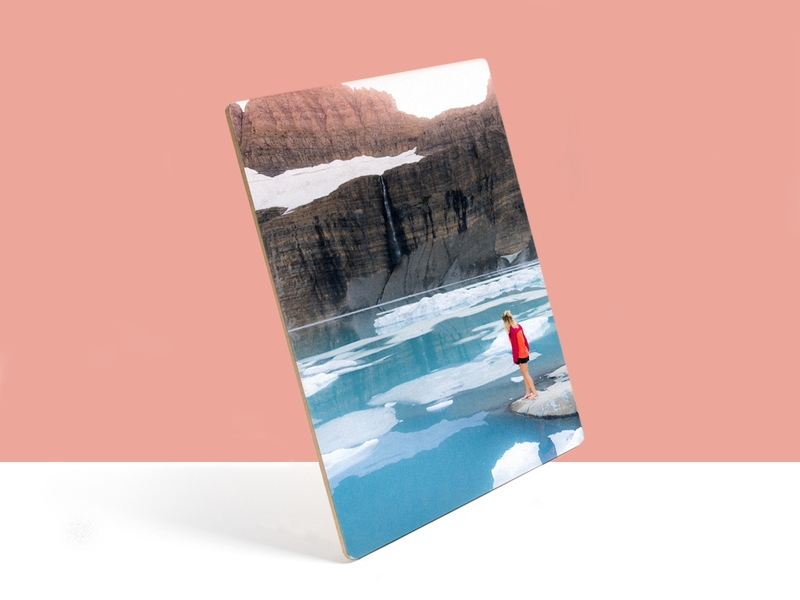 Because when you’re done enjoying the great outdoors, you can make a Print on Plywerk with one of your best nature photos! Tyson Gillard has done a great job of creating a valuable resource for anyone and everyone who is trying to plan a great outdoor adventure. After he realized that resources for planning outdoor activities were a bit lacking, he decided that he might just be the man for the job. As he saw it, no one was writing guides in a way that truly inspired people to get out and explore all the nooks and crannies of the great outdoors. The Outdoor Project is easy to use. If you know what you’re interested in, you can search by activity. Whether you’re looking for somewhere to hike, bike, sled, or snowshoe, this site will find you a place to do it. Or if you’re just looking for undetermined adventure wherever you are, you can also search by location. And be sure to check out the amazing photographs from Outdoor Project's many contributor's. If they don’t inspire your sense of adventure, then you might be a robot. In fact, if you're in Portland, head to Basecamp Brewing to see Outdoor Project contributor Kat Reese's show that's up on Plywerk. So, check out the project and find an adventure. And don’t forget to Plywerk your next great adventure. This entry was posted in Beyond Plywerk and tagged Outdoor Photography, photo mounting, Portland Local Businesses, travel photography, wood photo mounting on March 17, 2014 by admin. Maybe you’re getting ready to spend the upcoming Spring Break cruising the Caribbean or perhaps it’s time for the annual sojourn to Disney World. But if you’re over that whole scene, here are a few family Spring Break ideas that you might not have considered. The Monterey Bay Aquarium is a place to not be missed! If you’ve never been to Asheville, North Carolina, you should check it out. If you’re in the Eastern US, it could be a fun road trip. It’s a quirky artsy town with a lot of great food. It’s kind of like the Portland of North Carolina. Plus, it’s only a couple hours’ drive from the Great Smoky Mountains National Park. Also, while you’re in the Asheville area, you should pay a visit to The Biltmore. If you’re looking for fun on the West Coast, Monterey, California is the perfect family vacation. The Monterey Bay Aquarium puts all other aquariums to shame. Bring your waterproof camera, because at nearby beaches, you can rent kayaks and paddle by sea otters, or just explore the glorious tide pools. Then cruise down the scenic 17-Mile Drive that runs from Pacific Grove to Pebble Beach. For a different sort of Spring Break, consider a trip to our nation’s capital. Sure, it won’t be a good time to break out your bikini and beach towels, but you will get to see the annual National Cherry Blossom Festival. This year it's happening from March 20 to April 13. Spend your days exploring the world-class Smithsonian museums that D.C. has to offer. And while you’re making your next spring break photo album, go ahead and pick a favorite or two. Turn a spring break shot into a Print on Plywerk and hang in on your wall! And when winter rolls around again, you’ll have a nice reminder of times less chilly. This entry was posted in Photography, Portland Travel Guide and tagged Outdoor Photography, photo mounting, photography, spring break, travel photography on March 14, 2014 by admin.